It may seem an anomaly: how could infants, who can’t even focus their eyes properly, benefit from their parents reading to them. Even older babies seem more interested in exploring their worlds and are easily distracted, when read to. 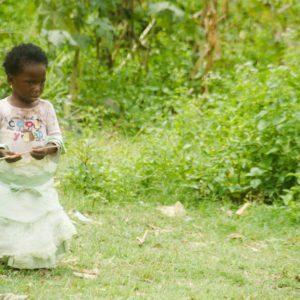 It’s therefore no surprise that in a general household survey conducted in 2016, only half of children under two are read to. 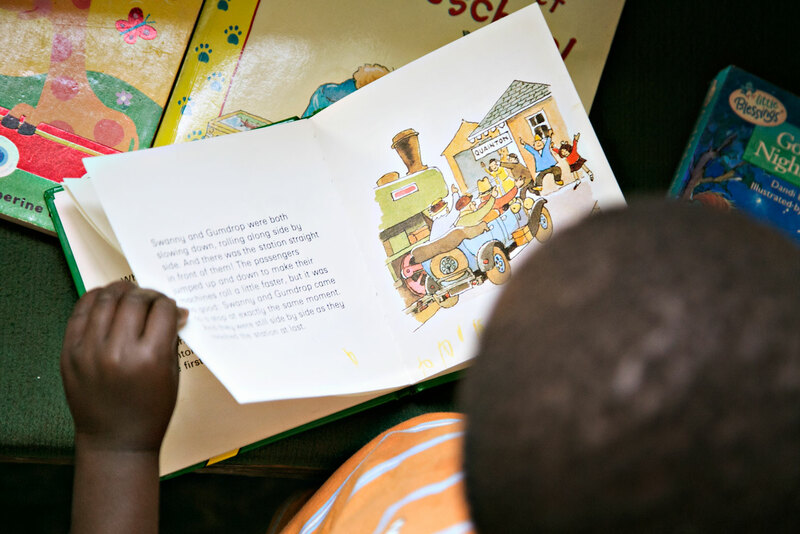 Even as reading to children increases as the children get older, South Africa has a poor reading culture. A third of children under five are never read to. Overwhelming evidence shows that the first 1000 days of a child’s life are critical for brain development. Consider that about one million neural connections are formed every second in an infant. It’s an astonishing number. Cotlands advocates for the early education of children. These early experiences impact a child’s future, laying the foundations for learning. Reading to a baby is a key tool to achieve this. Dialogic book sharing (an interactive way of shared reading between parent or caregiver and their child) is an evidence-based intervention in lower socio-economic settings to improve reading at an early age. One of the interventions, run by Stellenbosch University, found that infants between 14-16 months showed significant gains in language, attention and social understanding if they were read to from birth. In addition, the number of words babies understood increased with the intervention. A further bonus is the bond that forms between the reader (adult) and child and aults reported increased attention spans. The world dedicates September to literacy awareness. In South Africa, we need to push for literacy every day. Cotlands as an early learning facilitator, advocate and thought leader is using play-based learning to build the foundations for literacy. Anything can be used as a printed “book” including an old newspaper. Parents can point to words they see in passing – such as on billboards or street signs. “Books” can also be made from cardboard. While not all communities have working libraries, there may be some resources available. Sound literacy is assessed as the ability for children at Grade 4 level to use different patterns, differentiate between sounds (decoding) and read quickly and fluently. Who knew that the foundations are laid almost a decade earlier while the child is tiny?